Summer brings excitement for kids as well as kids broadcasters as the genre sees high growth during this vacation period. Sample this: last year after the launch of the summer line-up, the relative market share of the kids genre stood at 7.2 per cent (C&S, 4+, week ended 28 April, 2007), up from 6.9 per cent (C&S, 4+, week ended 21 April, 2007 after the summer programming was unveiled) as per Television audience measurement (Tam) data. This year too, the genre has increased from a relative share of 5.3 per cent (C&S, 4+, week ended 12 April, 2008) to 5.6 per cent (C&S, 4+, week ended 19 April, 2008) soon after the summer special programming was introduced. This clearly indicates an increased viewership and an ad sales growth over the three-month period (April- June). It is the sunshine period for the kids channels, when each one of them court their viewers with different customised offerings to have a bigger bite in the viewership pie. With several means of interactive contests, consumer products and on ground promotions, the channels put out their best properties to create each day as Sunday. Turner’s two channels – Cartoon Network and Pogo – aim to further improve their leadership position this summer by banking on movies. Krrish, Chota Bheem, Harry Potter and the Goblet of Fire, Gulliver’s Travels, action-packed Trouble in Tokyo, Ninja Turtles III and Bal Ganesh are some of the titles that the channel is showing during the summer holidays. The network’s belief: movies will bring sticky viewers. Disney is also betting high on movies and contests for the three channels – Hungama TV, Disney channel and Jetix. Disney Channel will premiere two popular sequels of the original Movie – Cheetah Girls, High School Musical and Minutemen with a promise to keep the audience entertained during the vacation. Going by the interactivity mantra, both Hungama TV and Disney channel have announced contests on their respective channels. Hungama is back with the famous ‘Pyjama contest’ whereas Disney wants kids to catch the ‘Prof Silensor’. As the mercury rises, Disney Channel will kick off with an interactive dance segment titled ‘Nach To The Groove’. Kids can learn dance moves from Shiamak Davar. The channel will also throw open an on-air contest called ‘Disney Channel’s Summer Dance Off’ which invites kids and the tweens to step up and boogie with the latest dance and music. Nick, the fastest growing channel in the category, is not behind either. It has decided to take the kids on the dance floor through ‘Nick Fundoo Superstar’. But Nick has taken a different route by avoiding any kind of auditions. Kids, instead, have to answer simple questions and the lucky four get to dance in a music video with Mandira Bedi. The music video will be choreographed by Saroj Khan. “We believe that all kids are equal to us and we don’t want to judge them on their performance. Hence we choose a simple way of just asking them to watch Nick,” says Nick India VP and GM Nina Jaipuria. This is exactly what Nick did last year: the interactive contests and the Indian connect that it established with the kids fuelled its growth. 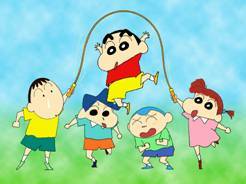 Hungama has introduced new seasons for their best properties like Doraemon and Kiteretsu. So has Nick with Ninja Hottori and Perman. Stuart Little and Bingoo are some of the movies that Nick is banking on. Down in the South Chutti TV seems to be enjoying a monopoly. The leader in the southern market, it has unveiled 15 new properties for kids. Some of them are Glorious House, Spiderman and Bumper King. Extending the favourite animated series on TV beyond the television screen brings in extra bucks for the kids channels especially during the summer vacation. To pull that extra amount, kids channels bring the animated characters live to the kids with customised merchandisng items. They tie up with various merchandising outlets for special items like noodles, toothpaste, deoderant, pencilbox, water-bottles and pencils. During the summer this year, kids channels have flooded the market with unique items like Disney noodles, Tom and Jerry toothpaste and deoderants. 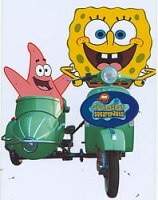 Besides, branded toys like Spongebob and Ben 10 are in high demand among kids. Attempting to win new eyeballs, Cartoon Network has associated itself with Zapak.com to launch an online gaming portal Zapakkids.com.The website will soon have over 40 Cartoon Network action-adventure packed online games. Featuring iconic Cartoon Network toon stars from shows such as Johnny Bravo, Code Name Kids Next Door, Dexter’s Laboratory, Courage the Cowardly Dog, and Ed, Edd N Eddy, these games have been specially created to enhance the gaming Cartoon Network experience. This ‘touch and feel’ factor is increasingly becoming important for channels to have a direct connect with their target audience. Its an awe factor that the channel capitalises on by bringing the kids face to face with their favourite characters. Ground events no doubt help channels in building reach and interaction with their target audience. It’s a medium that helps build brands, unlike passive media like print and radio. “Getting kids face to face with their favourite characters is the ultimate that we can offer,” adds Jaipuria. On 17 May Chutti TV will organize craft workshop for 4000 kids in Chennai. “Last month we had organised a mega workshop for various activities. It turned out to be great with a participation from 2000 kids,” says Chutti TV head Kavitha Jubin. With growth in the genre, advertisers have found out a new platform to exploit their brands. The advertisers are also taking maximum advantage with pester power and passive viewership coming into the picture. According to media planners, there has been a shift of viewership from Hindi general entertainment channels (GECs) to movie, news and kids channels. That has brought in a whole category of non conventional advertisers. FMCGs, insurance and real estate companies, for instance, have hopped on to the kids channels. According to Ad Ex Analysis, ad volumes of kids channels have increased tremendously from 2006 to 2007. Are summer months crucial for brand exploitation? Absolutely, say media planners. Perceptually as well as in reality, there is a viewership surge on kids’ channels during summer and therefore advertisers flock in to exploit their brands. Also, parents become liberal in purchasing what the kids ask for. 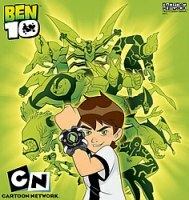 Kids broadcasters gain from this, boosting their ad revenues during this period. “Our inventory for summer is already full and we have no more spots left for other brands,” adds Jubin. The field will become more active after the advent of new players, both in terms of audiences and advertisers. i aam too glad to sһafe my knowledge һere with mates. my followers! Superb blog and amazing style and design.